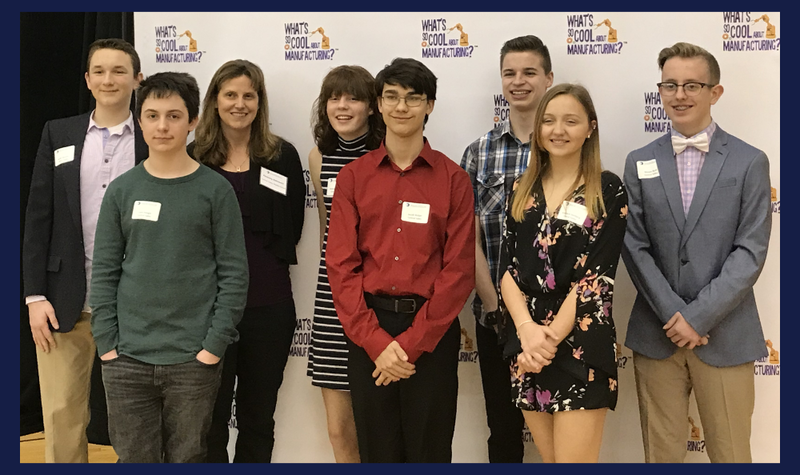 Central Valley Middle School students who participated in the “What’s So Cool About Manufacturing?” video competition won first place for “Exceptional Videography” at an awards ceremony on March 28th at the Community College of Beaver County. These students will continue to represent Central Valley as they were chosen to be among the two schools in the Pittsburgh North region to attend the “Best of PA” competition in Harrisburg on April 30th. Congratulations to advisor, Kim Ostrowki, and students Jacob Abrams, Liam Hoegle, Analiece Isenberg, Cooper Mitchell, Kennady Norton, Masyn Roth, and Jacob Weber. Attached is the official press release. Best of luck at the state competition!